provides private massage therapy sessions by licensed massage therapists. 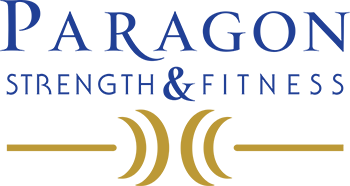 When used in conjunction with our Paragon Strength and Fitness personal training program, clients can expect to recover faster and to see an increase in their range of motion. Swedish massage provides full-body muscle relaxation and can be especially helpful if you're recovering from an injury. Swedish massage is best described as light to medium pressure, or a feel-good massage. Some benefits include increase in cardiovascular flow and decrease in cortisol levels (also known as the stress-hormone). Designed to prevent and treat injuries, improve flexibility, and enhance athletic performance, sports massage can be used by athletes of all abilities to prepare for or recover from athletic or sports events. The idea behind sports massage is to manipulate the body's soft tissues and focus on certain muscle groups depending on which sport the athlete plays. Aromatherapy Is used during a massage with scented plant oils (known as essential oils) added to the massage oil. Extracted from flowers and other plant parts, essential oils offer a pleasing scent and are believed to have healing properties. Deep Tissue is a massage that targets muscle knots (also known as adhesions) and specific problem areas in the deeper layers of muscle and connective tissue. Using deliberate, slow strokes or friction across the grain of the muscle, chronic tight or painful muscles, repetitive strain, postural problems, or injuries are addressed. Therapeutic massage is defined as the mobilization of soft tissue (such as muscle, fascia and body fluids) to restore normal systemic and biomechanical/functional use. It can be used to assist in the treatment of most musculo-skeletal and associated problems, and regular Therapeutic Massage Therapy results in improved circulatory, lymphatic and neurological functioning. This massage focuses on a specific area of the body that requires work. For example, clients can request back and shoulder focus or lower body focus. Clients may also choose to book this as a scalp massage with the option of using oil or not.